The team of Antonino Cannavacciuolo has now exceeded 120 employees and aims to become even more numerous. The chef is in fact looking for some new people for his different starred premises and this time he decided to rely on the web to recruit new talents. Cannavacciuolo has even opened a site to give space to numerous applications and, browsing through the pages, you can easily find the list of figures sought for the Cannavacciuolo Bistrot Novara, the Bistrot in Turin etc. It is curious to witness the evolution of the role that digital has nowadays also in haute cuisine: not only the search for staff through web portals, but also kitchens of award-winning chefs are more and more technological, table reservation services just with a click and artificial intelligences that probably soon will support the great chefs in their preparations. 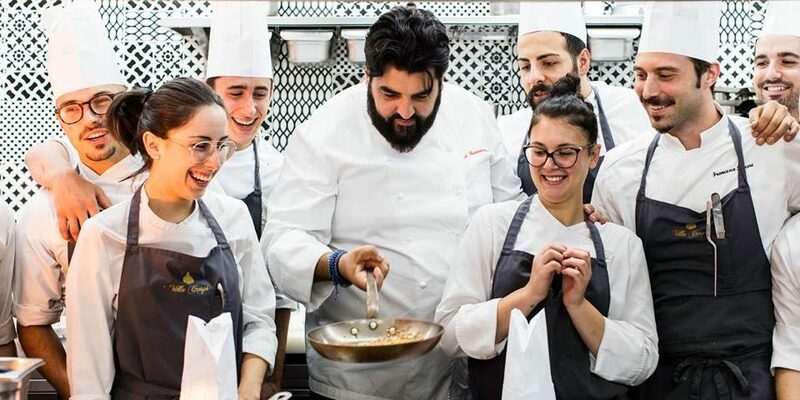 Digital is integrating more and more with the world of catering and now it is no longer so strange to think that a chef like Antonino Cannavacciuolo see the web as a source of research for new talent. What do you think will be the future of catering? A mix of comfort and innovation given by digital technologies or a return to the genuineness of human gestures first of all?